The all new Deluxe Wood Bankers Desk Chair by OSP Designs arrives in perfect form to provide you with a time-less style with modern day functionalities. 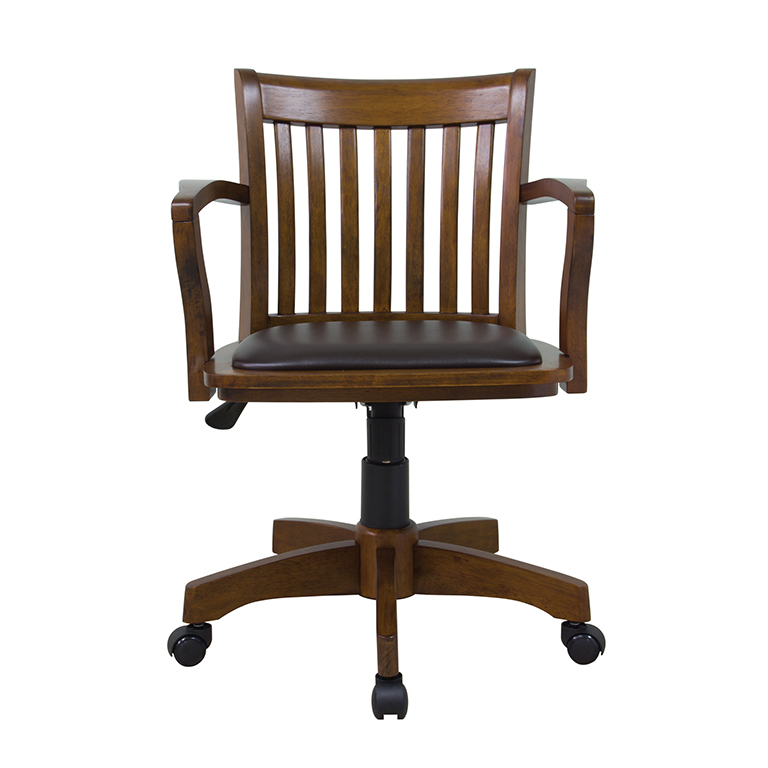 The all new Deluxe Wood Bankers Desk Chair by OSP Designs arrives in perfect form to provide you with a time-less style with modern day functionalities. Outfitted with a pressurized seat height adjustment and locking tilt control with customizable tension, this chair is a fully revamped version of the Banker Chair of the 19th century. With a durable wood and metal base ensconced with gorgeous finish and vinyl padded seat, this chair is designed and constructed to withstand the test of time. 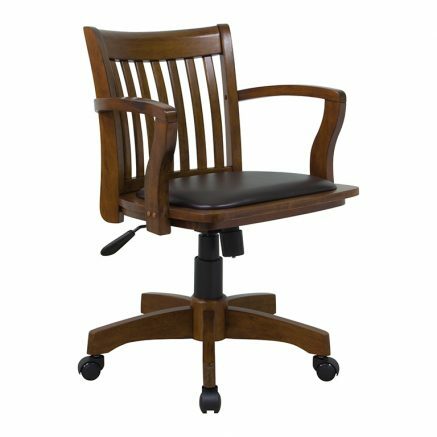 Finished atop heavy duty dual wheel carpet casters, this chair makes the perfect addition to any home office.